In 2012, universities are poised on the threshold of the next major evaluation of academic research: the Research Excellence Framework. In order to build institutional reputation and target future funding, there is an inevitable pressure for academics to produce outcomes of the sort that can be ‘measured’ (within the terms of the exercise) for their impact upon the disciplinary field and beyond. Naturally enough in such circumstances the research culture of universities is increasingly targeted to deliver precisely what the audit requires, such that the academic project is ever more instrumentalized and commodified. 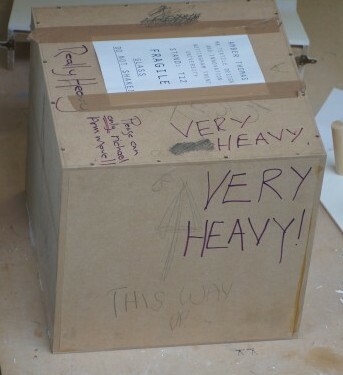 The Visual Arts research area at Nottingham Trent University attempts to trouble such narrow definitions, and to enable broader conceptions of research. We believe it can be seen as an affirmative practice for thinking (oneself) differently. We reframe artistic research as a ‘tactic’ or ‘way of operating’ in order to develop an understanding of the research process as a live and lived enquiry. Rather than viewing research as the teleological pursuit of knowledge – a linear and outcome-driven process catalyzed by the identification of questions to which conclusions are subsequently sought – the activity of searching is itself given critical value. Here, a subject is not what is studied at a distance but rather what is performed or enacted through the research itself. Such ideas are considered through this year’s Summer Lodge symposium The Inquisition. The event begins with a series of 5 minute PechaKucha presentations from 14 Summer Lodge participants and invited guests: this diverse group of presenters drawn from art practice and a range of other disciplines offer their own take upon research activity, and focus on the nature of enquiry in their practice. After lunch we break up into smaller groups to discuss the role of enquiry in contemporary art practice, fine art education and practice-based research, as viewed through three particular approaches – ideas of attention, experiment and tactics. We hope to discern useful exemplars from the morning’s presentations, consider how enquiry operates through the varied practices of each group’s participants and to assemble a vocabulary and resource list with which to further develop our approaches to practice, teaching and research. 10.45am Welcome and Introduction Danica Maier & Joanne Lee in Bonington Lecture Theatre.